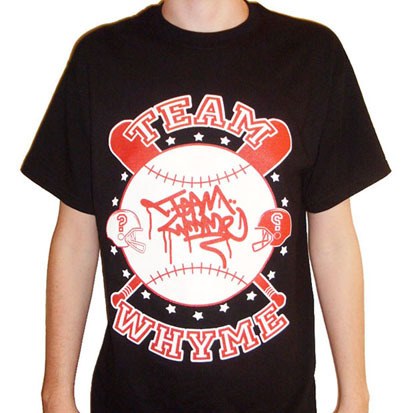 Last week, London’s Team Whyme released a new baseball themed design onto T-shirts, long-sleeved T-shirts and sweatshirts, all incorporating an american sports vibe and some decent designs to add to the summer wardrobe. 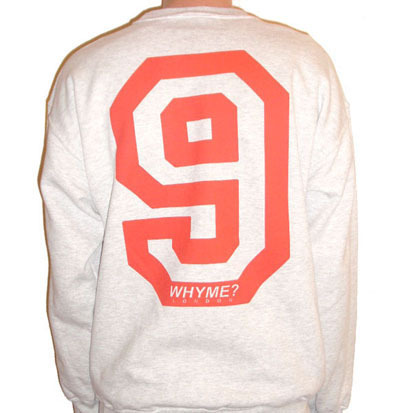 The series consists of a single red/white design on black, grey and blue T-shirts, grey crewneck sweatshirts and 2 raglan long-sleeved T-shirts. 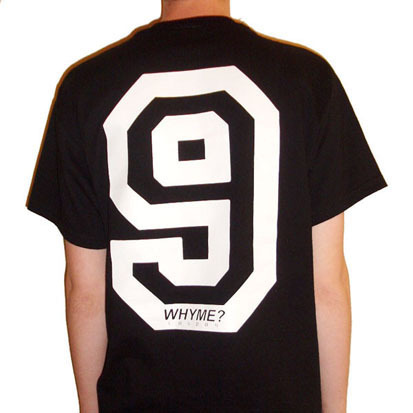 All of the items come with a large chest print and a number 9 printed on the reverse in college font. 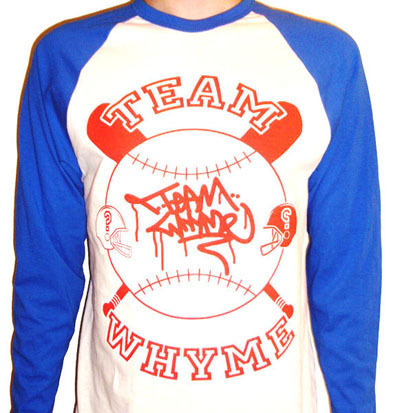 The long-sleeves are my particular favourite – the raglan sleeve compliments the graphic as this type of shirt has often been used in american sports, particularly baseball. 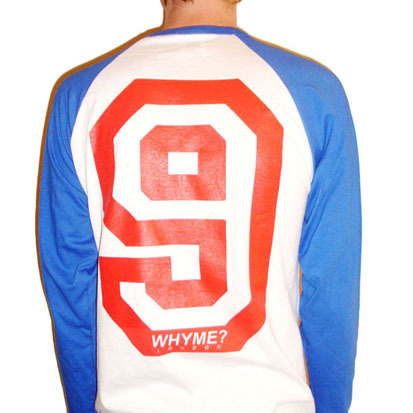 The raglan tee is available with blue or red sleeves, both with a white body. Check out some shots of the series below. 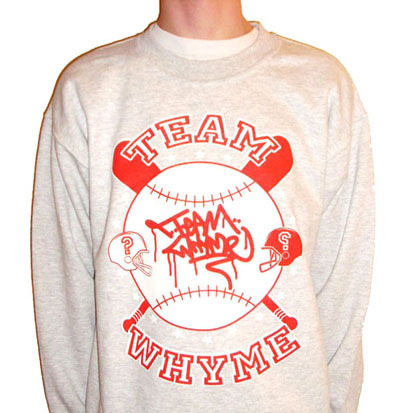 All of these items and more are available now from Team Whyme.